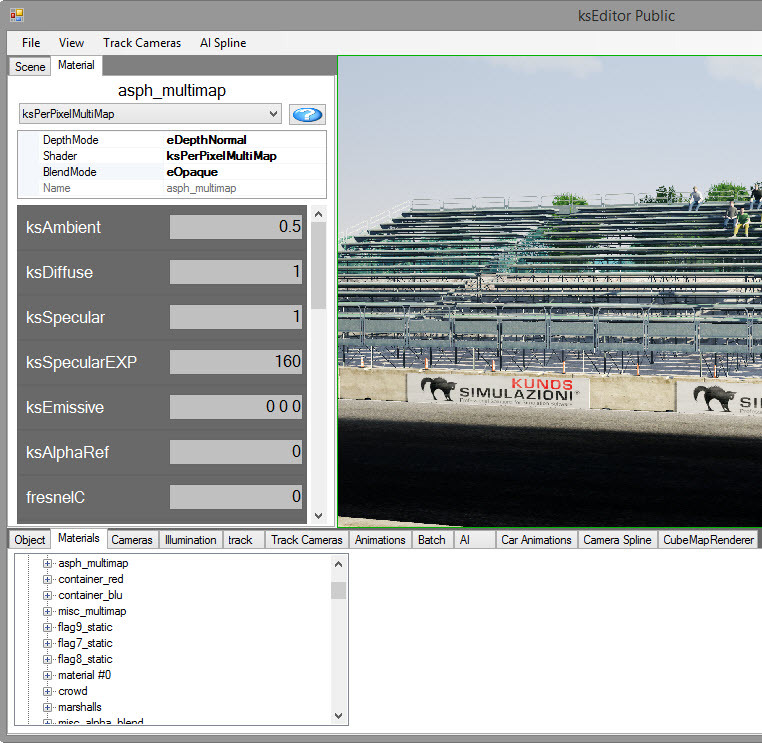 Support has been improved for the KsEditor, the official editor for Assetto Corsa tracks, through enhancements to the FBX Export plugin. KsEditor imports from FBX but the attributes for Objects and Materials are stored in a ‘persistence’ file, a text file with an .INI extension. The FBX Export plugin for 3DSimED3 can now generate this .INI file and save time in KsEditor by setting attributes of your Objects and Materials. 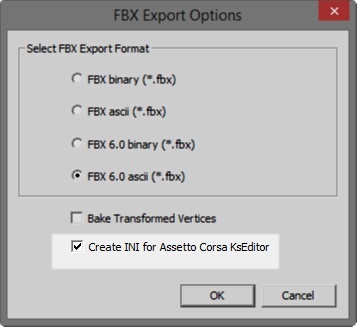 Note that when you import the FBX in KsEditor that the .INI will automatically loaded. Make sure any textures required are stored in the sub-folder ‘texture’ of the location of the FBX. KsEditor does not seem to read correctly the BlendMode when set to eAlphaTest (the equivalent to 3DSimED’s chroma transparency) so materials with this transparency need to be set by hand. One of the advantages of the KsEditor is the ability to see the shader output as 3DSimED does not at present visualize the Assetto Corsa shaders. Some users may find it is very useful to browse and experiment with the materials used by the default tracks by importing the tracks with the Assetto Corsa Import plugin and then exporting to FBX. The latest FBX Export Plugin can be found at the downloads page.